Medium texture and pores, generally speaking. Heartwood of Honduran Mahogany can vary quite a little bit from pale pinks to deep red browns. The color will deepen in time, usually. Honduran Mahogany is marketed by many as “Genuine” Mahogany to provide a distinction between this product and African variations on the mahogany product. 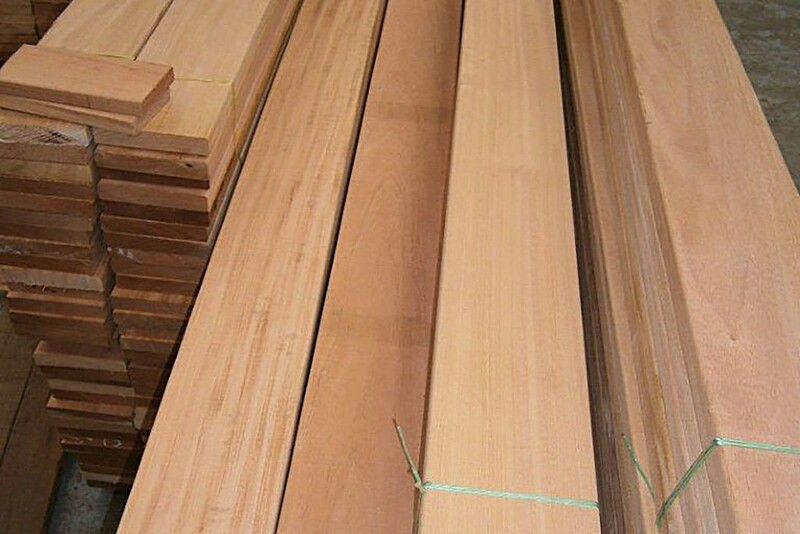 Honduran Mahogany is widely plantationed, and is available worldwide. Honduran mahogany remains in high demand worldwide, though most of its production today is in the Asian tropics and Isles. Mahogany has been used historically for many interior applications such as furniture, cabinetry, turned objects, musical instruments, boat building but Mahogany has gained recent popularity as an exterior wood for decking and siding. Mahogany is available in decking dimensions such as 5/4×6 on a regular basis but the market can fluctuate with accessories. Mahogany is not a hardwood and is not nearly as dense or heavy as ipe and cumaru. It is relatively easy to work with and sand and is a very stable product. Pre-drilling is not required prior to fastening with stainless steel screws. There are a few hidden fasteners on the market that are designed to work with grooved decking for a cleaner look. Also systems such as Kreg’s Jig fasten at an angle on the edge of the decking. End Sealing Mahogany is highly recommended. 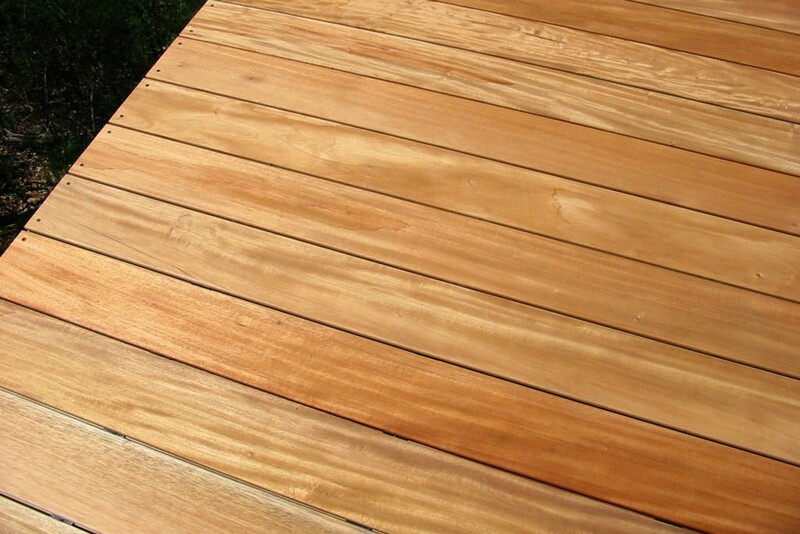 Use products such as Ipe Seal or Anchor Seal (wax emulsion) to seal the end cuts of your Mahogany lumber. Be sure to keep the seal application limited to the end cut only as the wax emulsion will leave a darker stain on the surface of the deck board. Air circulation and preventing moisture build up below the deck surface is an important aspect of preparation for your Genuine Mahogany deck design. 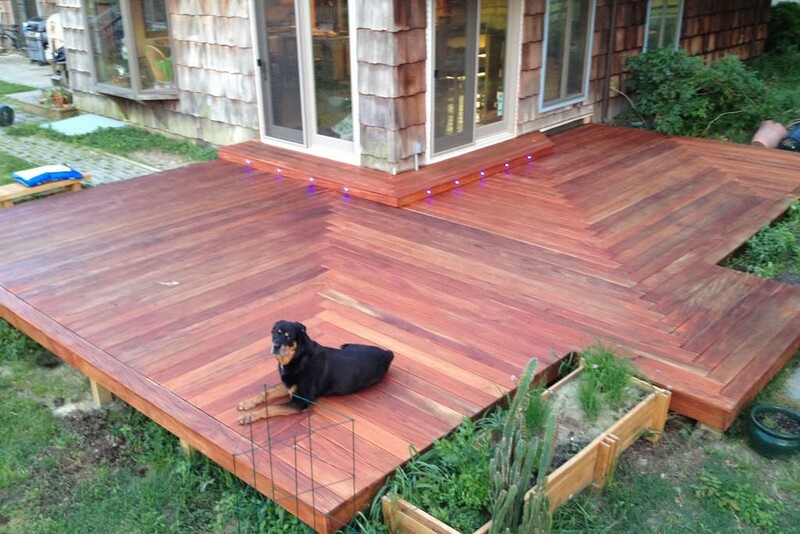 Most manufacturers recommend at least 2′ of clearance from the bottom of the deck surface to grade (ground). While this is a safe practice, Mahogany decking can safely be installed with less clearance but one must take precaution. The atmospheric conditions and relative humidity in your climate need to be considered. Ask your local contractor experienced with Mahogany or your SLS sales person for advice on any installation. Mahogany has a variation of color from a pinkish brown to deep brown to a reddish brown lumber and those colors can be maintained for years – with a little work of course. If left unfinished, Mahogany will naturally darken. To maintain the natural brown tones, a product such as Ipe Oil will need to be applied every 12-18 months or so. Largely, the frequency of sealing will depend on the amount of sunlight and foot traffic the deck surface is exposed to. There are many products on the market to seal and protect your Mahogany deck from the damaging rays of the sun. At SLS, we feel the Ipe Oil is the best product on the market to do so. The water borne products tend to get more penetration into the dense surface thus holding the stain longer. Alternatively, one can allow the Mahogany to simply oxidize and turn a darker brown. There is no further maintenance required if this is the way you want to go. Occasionally, one might wash the deck surface with a water hose or pressure washer to simply clean. 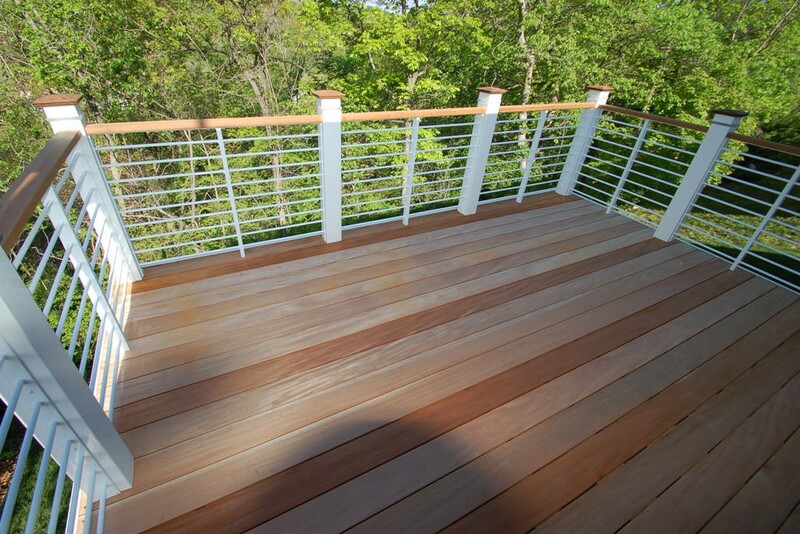 Should you happen to decide that you would like to bring back the light golden brown color after the Mahogany deck has turned a darker brown, this can be accomplished by using a quality deck brightener. The brown will be a darker than the original tone.